The GIFT project team are always seeking out new innovations that can help improve the mauri of our Hauraki Gulf. Here we will share some of the insights we have seen in the field to help give you ideas to form your application. Likewise, if you see something you think is a good fit, please let us know. 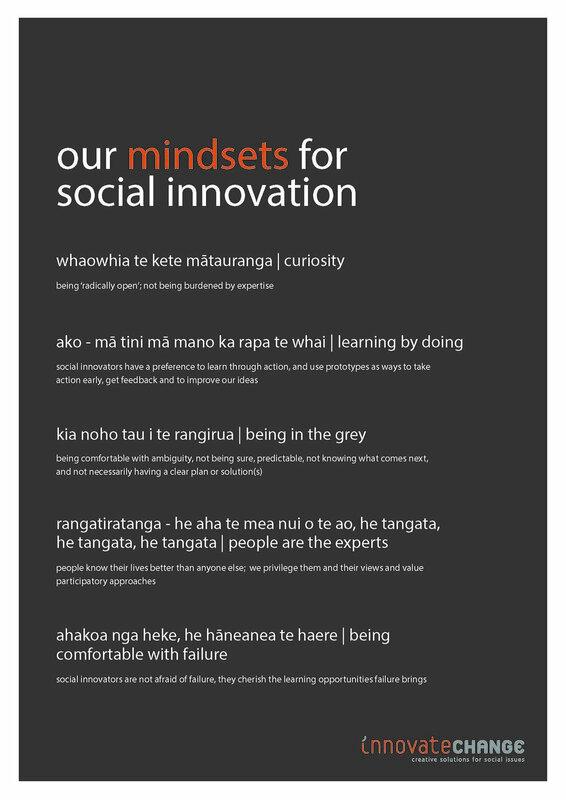 Innovate Change are a social change agency that address pressing unmet social needs. Where does the innovation come from? Eureka moments sparked in the minds of geniuses? Visionary, autocratic leaders? Collaboration? Trial and error? Acquisitions?And which method works best? The following is a feature article from the Spring 2016 Idealog magazine 'The Innovation Issue'. The three part series written by Jihee Junn, looks at and rates the many and varied approaches to innovation. Native Island has the distinction of being the first island to have had rats removed by Goodnature self-resetting multi-kill traps. The traps ability to maintain sustained control of any re-invading rats have transformed the island into a haven for native species. As the island is only 80 metres from the main Rakiura/Stewart Island re-invasion is inevitable. The network of Goodnature A24s will remain in place as a biosecurity tool to control any new rats arriving at the island. In 2011 at the age of 16, Boyan Slat was obsessed with finding ways of collecting plastic from the sea. Two years later, his TedX talk about his ocean clean up project went viral, with offers of help from around the world flooding his inbox. This is a great example of how Slat combines environmentalism, entrepreneurism and technology to tackle global issues of sustainability. The Tiaki method is a new way of catching and handling fish that is ultimately better for our fish and our oceans. Caught using the innovative new Precision Seafood Harvesting™ technology, Tiaki caught fish are landed in much better condition and experience less stress than those caught using traditional trawl methods. Learn more about this catch method that has the potential to change the way the world fishes, for the better.